Spice mobiles has announced two new android smartphone in Smart Flo series, the Smart Flo Ivory 2 MI-423 and Smart-Flo Edge Mi349. The handsets are available from Online retailer Saholic. The Mi423 has 4 inch display and is powered bu 1GHz dual core CPU, while the MI349 comes with 3.5inch display and is powered by 1.0GHz processor. 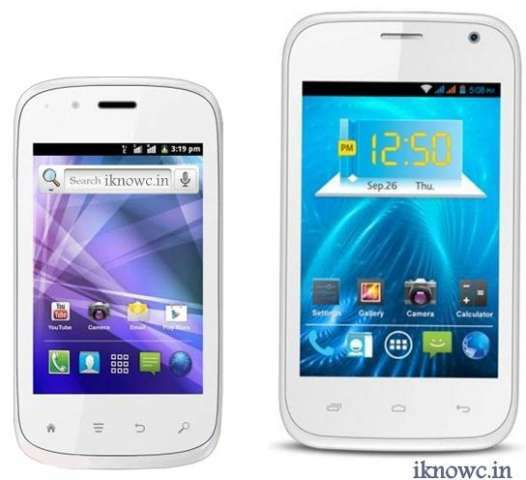 The Smart Flo Ivory 2 MI423 and Spice Edge Mi349 is priced at RS 4100 and RS310 respectively. Both the devices lacks 3G network support. The phones will compete with Micromax Ninja 3.5 A54 ( review), which comes with 3G support.